Got a leak, however cannot determine where it’s originating from? Leaky pipelines at your house or business can be a complex, pricey, matter to take care of. Seale Plumbing is here to assist you discover the leak, fix it, and go on with your lives. Our Santa Ana leak detection services are second to none. 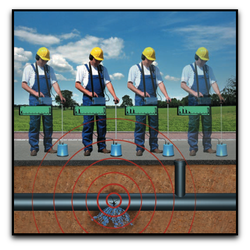 When you combine over 2 decades of experience with state of the art leak detection innovation, the resulting service ends up being unrivaled. When you have a plumbing professional who is experienced, you have a plumber who can be in and out of your house much quicker than an amateur. With less time implies less work which implies less cost. Working with Seale Plumbing will actually save you money and time! Leak detection in Santa Ana can be incredibly challenging. Nevertheless, with our specialized camera examination technology, we can do the job rapidly without damaging anything. Many plumbers will come into your residence or business and leave the place more broken than when they came, and than they will charge you to fix their mistakes! Finding an honest plumbing technician in Santa Ana is the only means that you can prevent this. How can you inform if we are an honest plumbing technician? Just have a look at our yelp! We are regularly getting stellar testimonials for the outstanding service that we supply. With over 50 reviews for services ranging from leak detection to repiping an entire house, we still handle to maintain 4.5 stars from 5! Have a concern or have to plan a visit? You can reach us whenever at (714)928-7557. Located in South Orange County and looking for someone to help you find a leak. We do leak detection in Huntington Beach and would love to hear from you.